Article: Is your human capital management solution holistic? Is your human capital management solution holistic? Fragmented HR data can become a hindrance to make accurate talent decisions. That’s where integrated HCM solutions come into play. Integrated HCM solutions involve creating a unified approach to recruiting, onboarding, performance and goals, compliance, career development and learning, compensation, succession planning and other HR processes. Holistic HCMs support recruiting data, performance goals, succession plans among other things. 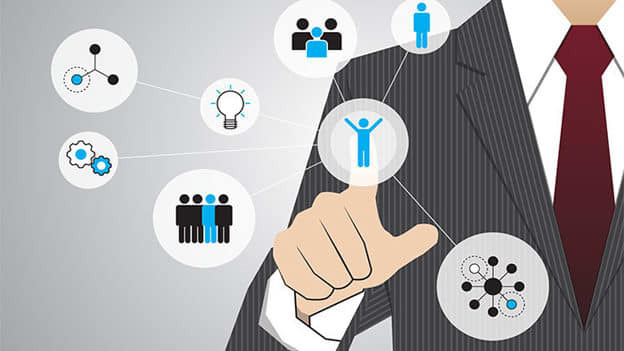 Essentially, each module is seamlessly connected to the other, allowing data be accessed by the right people, at the right time, for building the right talent landscape. 1. Supports continuous learning: Continuous learning is a habit that prepares organizations for both current and future skills. With an integrated HCM, employees will be able to access learning the way they want to. It will remove ‘learning’ from the ‘elusive’ status and integrate it with the needs of the employee and their everyday work-life. 2. Encourages self-service: Because information and resources are now available to the employee, he or she is now empowered to carry out HR functionalities independently or with minimal support. 3. Empowers employees to map careers: With self-directed learning paths and development plans, the onus of development is now on the employee. Employees now have the power to plan their career advancement their way. 4. Enhances the employee experience: Juggling between various disparate applications can be frustrating for employees. An integrated HCM offers a seamless user-interface, thereby greatly enhancing the user experience. 5. Improves employee productivity: When employees are equipped with the right resources, productivity is bound to increase because employees now know what to input to get the desired output. 6. Reduces costs: With an integrated HCM managers can then spend less time on manual tasks (like collating data) and dedicate their time to more value-adding work. All these advantages eventually lead to better HR effectiveness. The first step to building an integrated HCM is awareness. Assess the current state of HR systems and processes and understand the needs of your business. Understand and articulate the need for HCM integration, and quantify the investment in various terms- technology, costs, efforts (both internal and external), infrastructure, business continuity etc. A phased approach will help you in the successful implementation of the platform. Integrated HCM is the future of HR; investing now in integrated systems will lead to long-term benefits for managers, employees and the organization at large. Rhucha is a Freelancer working with People Matters.